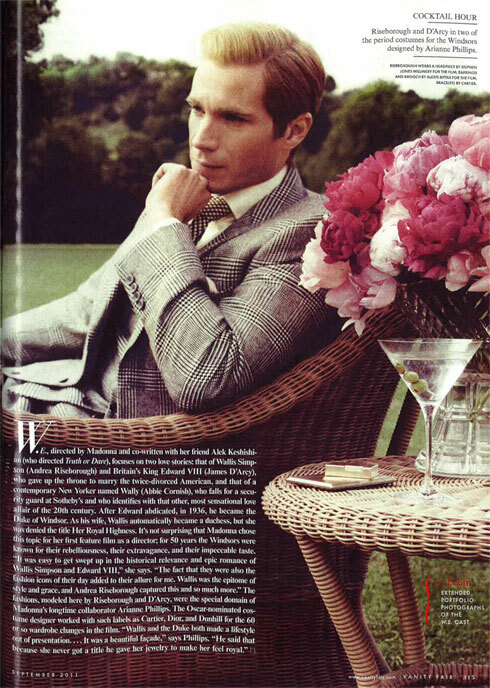 Wallis-mania has hit. Earlier this week I showed you some stills from the upcoming Madonna movie, W.E. 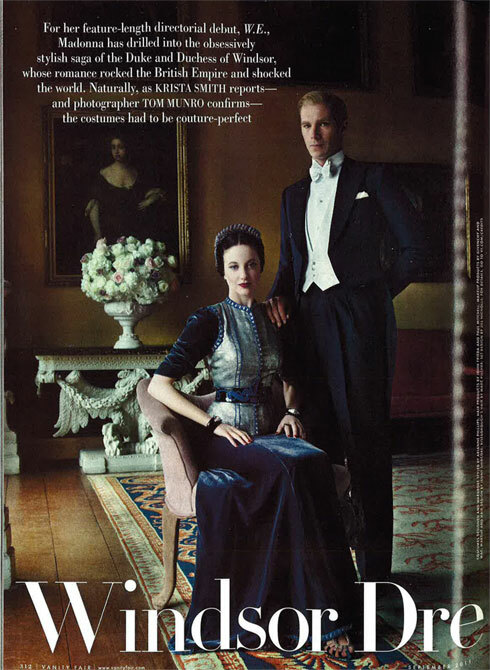 and now we have a Duke and Duchess of Windsor shoot from Vanity Fair!! 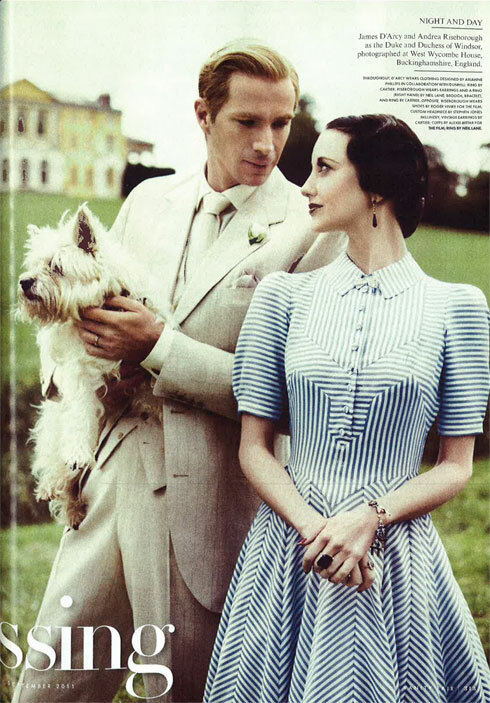 I’m even more impressed with the casting than ever now – James D’Arcy and Andrea Riseborough really look the part and while that’s undoubtedly down to styling and makeup, they’re even holding themselves with the poise and mannerisms of Wallis and Edward. Too excited about this film. Even if they just mumble their way through the lines it’ll be a visual treat. I totally agree, I’m ridiculously excited for this film because as you said even if the script is awful the costumes and scenery will be brethtaking.